Simple smoothie that tastes more like a milk shake than a smoothie. What more can I say about this smoothie? It has berries, tastes like a milkshake. YUMMY! 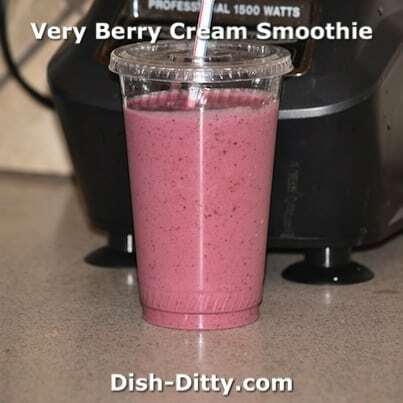 1 Reply to "Very Berry Cream Smoothie Recipe"
Milky smoothies are great for breakfast as they make you feel full and ready for long workday 🙂 I like to switch them with green smoothies, which have healing effect and generally are good for detox diet.